Design for New York City AIDS memorial by Studio a+i. Image from Architizer. Original plan for New York City AIDS memorial: “Infinite Forest” by Studio a+i. 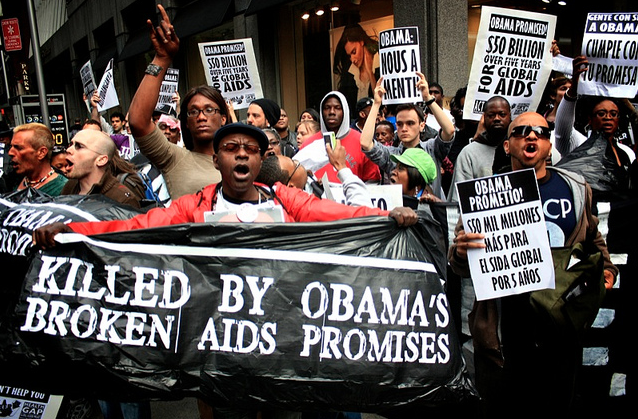 Image from NYC AIDS Memorial. The memorial raises questions about how to commemorate an epidemic that has so thoroughly devastated New York City, and where 1.4 of the city’s population (and 5% of Chelsea residents) today is reportedly living with HIV. Does the construction of a memorial further contribute to our sense of living in a “post-AIDS” world (which the advent of life-saving drugs in the late 1990s seem to inaugurate) while the epidemic rages among white gay men as well as in the most disenfranchised communities? 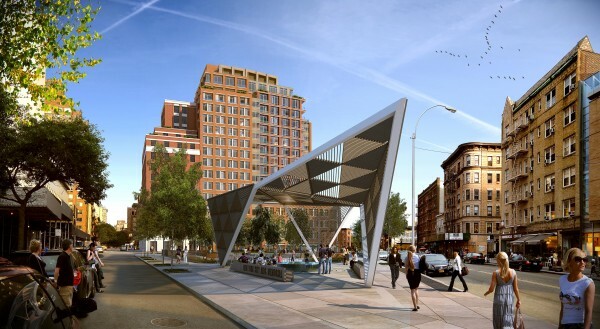 Does placing the memorial in a wealthy, gentrified section of the city erase the loss experienced by other parts of the city that have also been heavily affected–say, Harlem or the Bronx? I realize the irony of my asking the first question, as someone actively involved in recording and writing the history of AIDS in US communities of color, but I think it’s one that the idea of the memorial encourages us to consider. On the other hand, it’s worth noting that San Francisco has had its “living memorial” in Golden Gate Park since 1991. 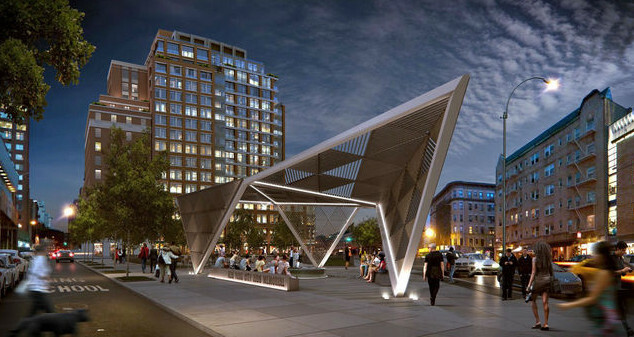 From actup.org, a bonus rendering of the memorial at night! The lighting on the structure does make it seem somewhat less like a bus terminal. Rendering of New York City AIDS memorial in nighttime. Image from actup.org.